Airbus Helicopters Received 35 UH-72A Lakotas Order. 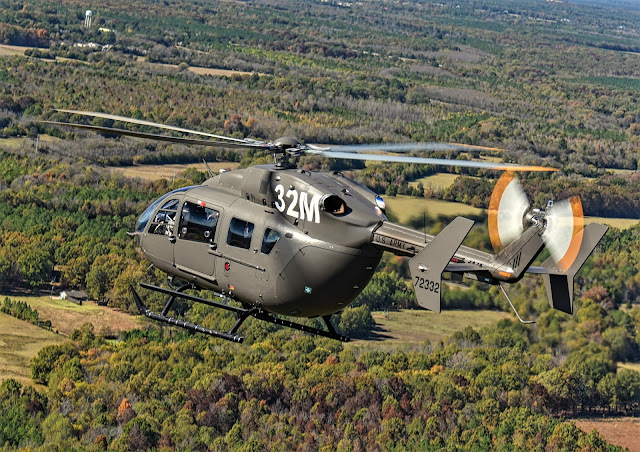 Airbus Helicopters announced that it received USD 273 million worth contract from the US Army to deliver another 35 UH-72A Lakotas Helicopter. The helicopters will be used as training aircraft and will be divided between the rotary wing entrance mission at Fort Rucker, Alabama, which will receive 17 aircraft and the observation and control mission at the Army's combat training centers, which will receive 18 aircraft. The Lakota is built by Airbus at its Columbus, Mississippi facility. It is a twin-engine light utility helicopter, which is the EC145 civil army version. The Lakota was initially acquired in 2007 by the US Army. UU To replace the Bell UH-1 Iroquois in support missions in time of peace. In 2014, the Army decided to buy 155 more UH-72A to replace the TH-67 Creek trainer and to complement its fleet of light helicopters. Airbus says the plane is capable of carrying out a wide range of military operations, including border patrol, aeronautical air evacuation, troop and VIP transport, light cargo and National Security operations. Since 2005, more than 412 Lakota have been handed over to the US Army according to Airbus database. Almost all the planes were received by the Army, a few more went to the Navy. The order for 35 additional helicopters gives new life to the Airbus manufacturing facility in Columbus.